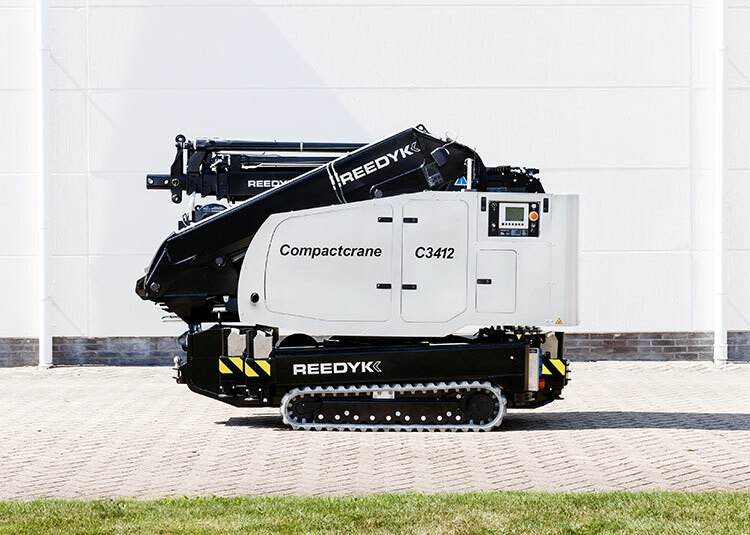 The Reedyk C3412 compact crane is definitely one of the smartest and strongest machines for special applications. 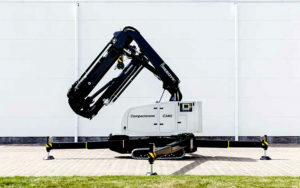 It is not an improved or a reduced-size version of an existing crane model, but a unique mini crane. 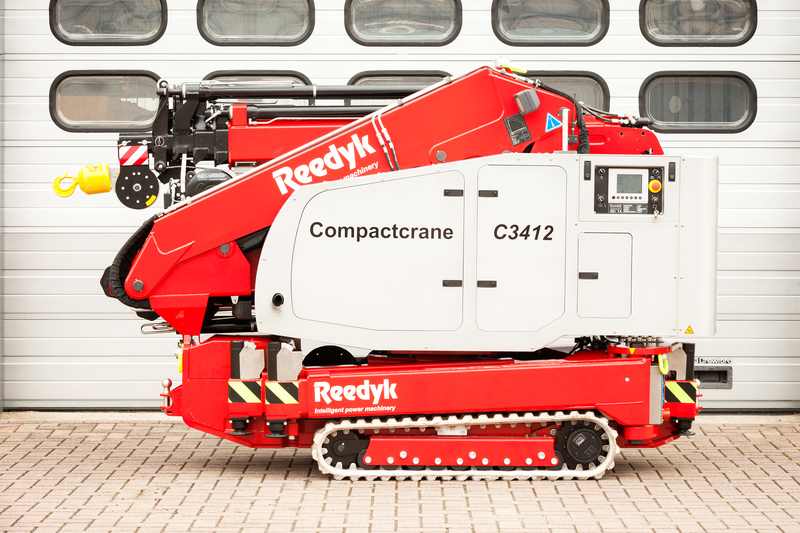 The Reedyk C3412 compact crane is specially developed for flexible applications with narrow access and confined spaces. 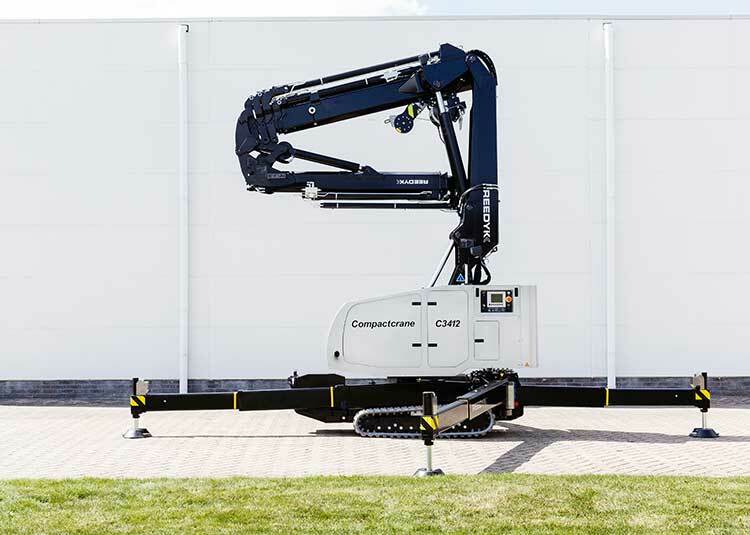 The Reedyk C3412 compact crane provides outstanding and safe work performance. 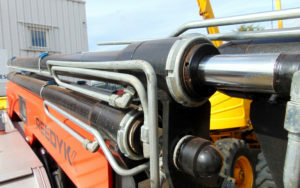 In situations where alternative crane options are not possible or intensive labour and manual lifting. 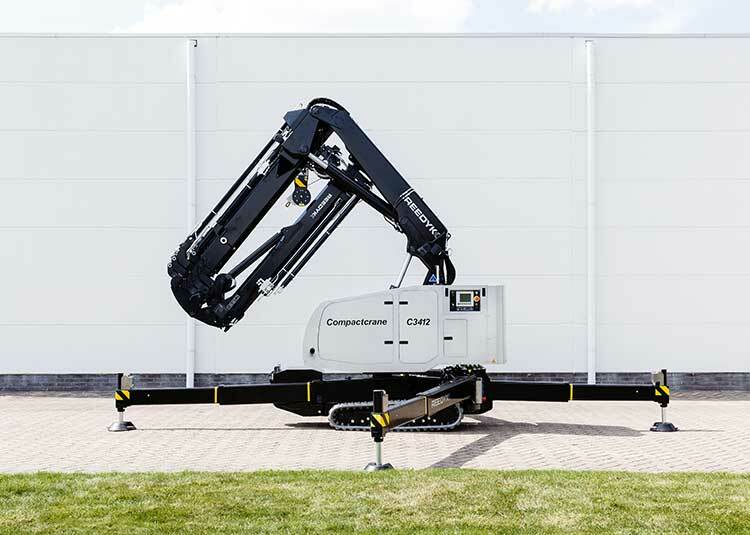 Load torque limitation allows the maximum lift capacity to be continuously calculated for any position of the crane arm. An important feature is the optional extra of secure lockable storage space which may be useful for any additional tools which may be needed. A wireless remote control allows you to control the overall operation of the machine, it also displays relevant information. 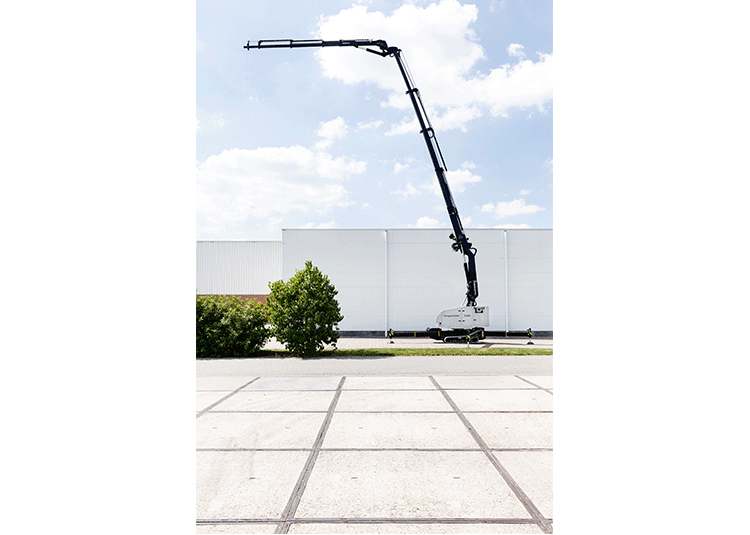 The crane has a flexible knuckle boom feature which allows the machine to be super compact and reach difficult spaces more practically. 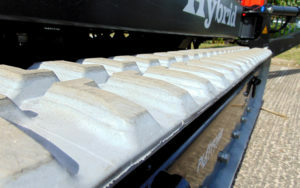 When operating the REEDYK C3412 in certain areas the white non marking tracks may be useful to ensure clean working. The machine can be perfectly positioned with a minimal support area because of the Infinitely variable outrigger positioning.